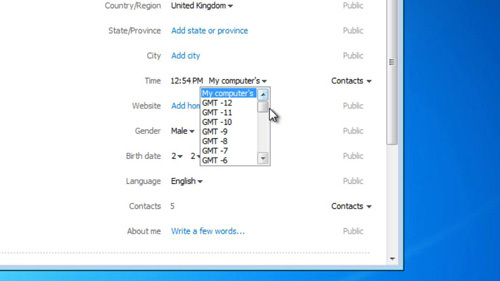 In this tutorial you are going to learn how to change Skype time zone. Open the Skype application and make sure that you are signed in to your account. 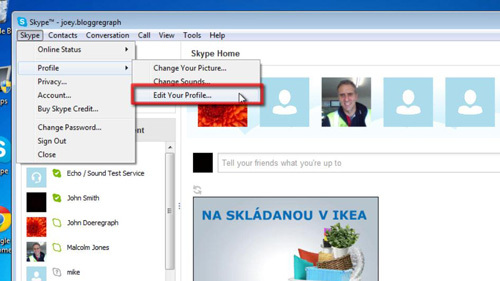 Click on the “Skype” menu, navigate to “Profile” then click on the “Edit Your Profile…” option. 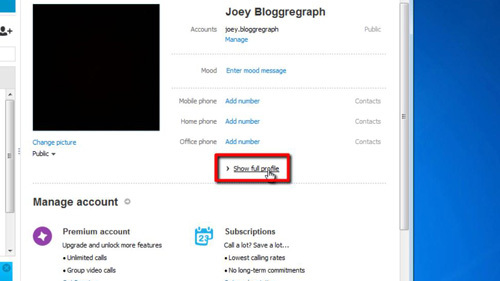 Your profile details will appear in the right hand section of the Skype window. About halfway down the window, just under your phone numbers, a small link says “Show full Profile”. Click this link, it will change to read “Hide full profile” and more of your profile’s details become visible. Scroll down the list of details until you find the “Time” setting. Next to the current time is some text that shows your current time zone. By default, it says “My computer’s” indicating that it is using the system time and time zone from your computer. Click on the triangle and choose your new time zone from the pop up list and this is the simple procedure for learning how to change Skype time zone.